STATESVILLE- Shirley S. Safriet, 85, passed away on December 2, 2017 at White Oak Manor Nursing Facility in Columbia, SC. Born on February 17, 1932 in Iredell County, she was the daughter to the late Lemuel and Bessie Stikeleather. Shirley was a loving and caring wife, mother and "Grandma Safriet". 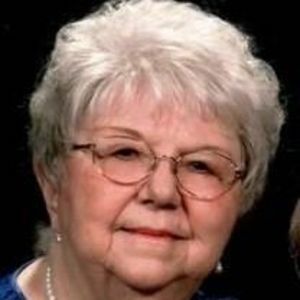 She was an active and faithful member of Yadkin Baptist Church for over 60 years and served as the church clerk, Sunday school teacher, choir member and many other areas of Christian service. In addition to her parents she is preceded in death by eight siblings. Left to cherish her loving memory is her loving husband of 68 years, Fredrick "Jake" Safriet; children, Dianne (Ralph) Pollock and Rick (Kim) Safriet; grandchildren, Chad (Christy) Pollock, Christie (Jodi) Davis, Jonathan (Michelle) Safriet, Jana (Brady) Soop and Jason (Kaylin) Safriet; ten great-grandchildren and numerous nieces and nephews. A funeral service will be held on Tuesday, December 5, 2017 at 2pm at Yadkin Baptist Church with Rev. James R. Fox Jr. and Rev. Tony Bunton officiating. Burial will follow in the church cemetery. The family will receive friends from 12-1:45pm prior to the service at the church. Memorials may be made in Shirley's name to Yadkin Baptist Church 2980 Wilkesboro Hwy, Statesville, NC 28625. Bunch-Johnson Funeral Home is honored to be serving the Safriet Family.